My fascination with cryptocurrency actually began in 2015. If you have read my book, Deconditioning Ground, you may remember Carlos, the mysterious man from Mexico, that stayed at my house for a month in 2014. Carlos actually did come back into town in August of 2015. He paid for his room with silver and left me a bitcoin tip. Now I know that when I have the program open, it updates the block chain. I only do this once a month, since it takes about 3 hours for the missing four weeks to download and uses more data than I am allotted with my rural internet. In the good-ole-days, people could actually mine for bitcoins on their home computers. Now, specialty equipment has made at home regular prospecting obsolete. You might be wondering what a block chain is, or even what a Bitcoin. First off, I am not really sure if I even know. Somehow, people are making money and other people, like me, are buying it with US dollars. A recent article would call me a “dumb money” investor. But I’ll go ahead and tell you my lay-women’s understanding of it all. Bitcoin was the first cryptocurrency. Basically, it is some sort of computer algorithm program that people all over the world can download. I think the one on my computer is just like the ones all over the world. This is what is required for mining bitcoin. When people “mine” cryptocurrency, it isn’t like digging around in the code looking for the money. It is more like as you are building the next link in the block chain, bitcoins fall out. Everyone running the program is mining, or building the next link in the chain, but only operations that go the fastest can get the coin. The other thing about cryptocurrencies is that the block chain also records exchanges. 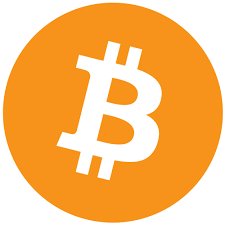 When I sell or buy bitcoin the transaction becomes imbedded into the code of the block chain. If you want your transfer verified fast, you can pay a small fee and that goes to the people that are mining. This gives them an incentive to record your transaction first in the new link in the chain they are working on. Earlier in the year, I tried to purchase something with bitcoin and didn’t want to pay the fee for instant verification. The bitcoin I sent to the vendor took 72 hours to be incorporated in the block chain, and by then the vendor had cancelled the transaction. Once it was verified, the vendor sent the coin back to me. No loss, but I get a little jittery with cyber transactions like that. However, I can imagine gaining greater comfort as I get accustomed to the process.